First, a little explanation of the title. I saw that one of the chapters in John C Wright's book, Transhuman and Subhuman (2014) was "The Desolation of Tolkien" and I thought, "Finally, someone is going to talk about it!" Imagine my surprise when I read it and all Wright was doing was reviewing the second Hobbit film. (I agree with his review, but still: disappointed.) I realized after that, I'd have to write about it. What I am referring to is: how does a fantasy writer work today? 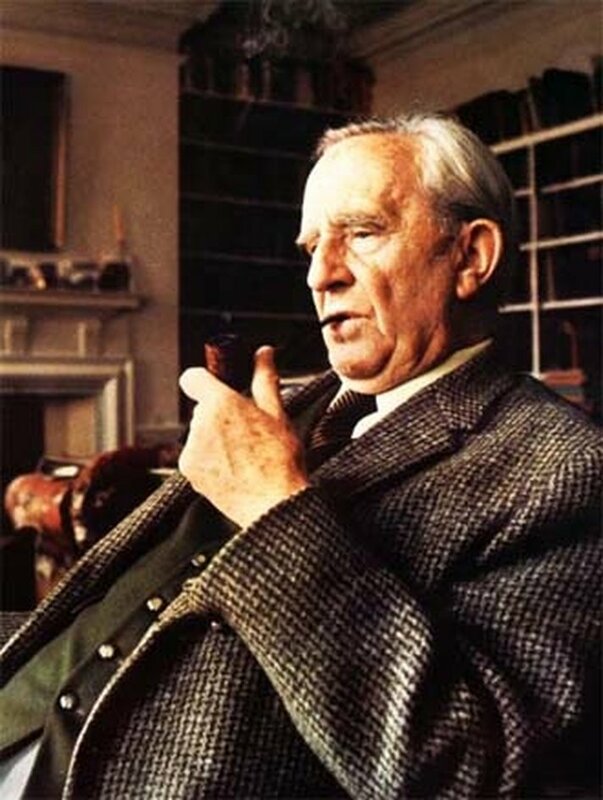 You have no choice but to decide you will ignore Tolkien, consciously write against him, or accept him and sadly give up and run down to Hobbiton. Tolkien casts a long shadow, and a wide one. You have no choice. Decide. In this way, Tolkien has desolated the fantasy field, though I doubt that was ever his intention. Let me explain better. Imagine if you will, you are a writer. You want to create a fantastic story that is not explainable as science fiction, nor intended to solely chill you like horror. It's a tale of wonders, set in an imaginary world perhaps. If you include even one non-human race your reader will wonder, are they elves or orcs or ents or somesuch? (And if you don't use any, does the reader feel cheated?) If you have cities in your world, that reader will expect that armies will march from said centers to engage in battle. You may not want to do any of these things, but the expectation is there. Lin Carter proved this with the Ballantine Fantasy Series back in 1971. According to an interview he gave Amazing Stories, the books that were most like Tolkien sold the best. According to ST Joshi, even masters of early fantasy like Clark Ashton Smith failed to sell. Carter did us a great service, introducing many forgotten books like Poul Anderson's The Broken Sword (1951), but it had elves and it did better. Enough so that Anderson wrote some new books in the series. Tolkien is everywhere. Don't believe me? What are they calling George RR Martin, who married the popular Lord of the Rings with Dune to create A Song of Ice and Fire? The American Tolkien! 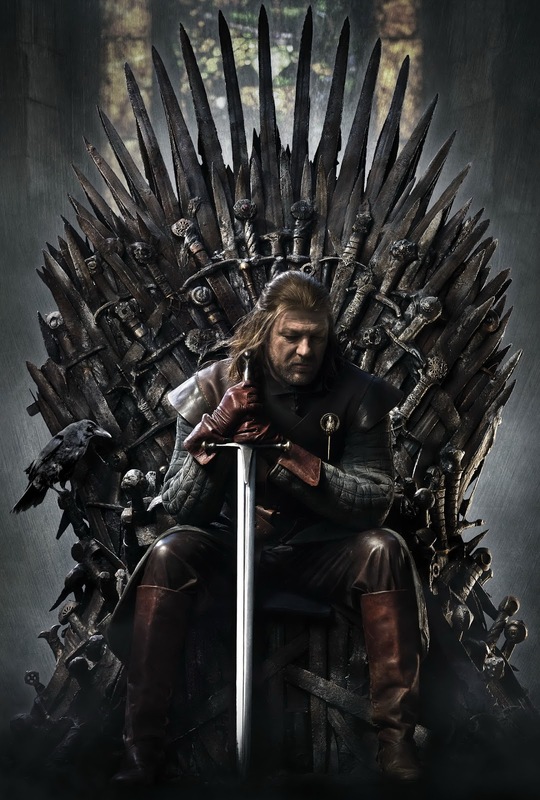 Game of Thrones was sold to HBO as "Sopranos in Middle Earth." George made his decision. He can work within the Tolkien tradition. I think he does it better than Terry Brooks or Stephen R Donaldson or David Eddings or any of those endless series writers, but they all dwell in the Land of Tolkien. In Brooks' case, intentionally. As Peter S Beagle explains in The Secret History of Fantasy (2010), the Ballantines knew what the reading public wanted, knowing The Sword of Shannara was a pale imitation, but a guaranteed money-maker. I heard Terry Brooks talk on the radio back in the 1980s. From his words you would have thought nobody had written a fantasy before that Oxford Don with the extra middle initials. And perhaps he is right? Who cares about William Morris or Lord Dunsany, ER Eddison or James Branch Cabell or... Have we learned nothing from Richard Adams' Watership Down? A bestseller that looked more to Homer than Tolkien. It can be done, but it isn't. What of sword-and-sorcery? Robert E Howard predates Tolkien; exists without him. But Howard's shadow is almost as big. Choose one form of darkness or another. (So LOTR fans will get it, do you choose Sauron or Sarumon?) Many choose to write under Howard's umbrella, seeking their own place there, much as some horror writers are perfectly happy to lie under Lovecraft's Mythos shadow. No one exists in a vacuum, but a good writer needs to feel the sun on his or her face once in awhile. To breath the fresh air and spy out their own landscapes. One thing both Howard and Tolkien (as well as CS Lewis and ER Eddison) would agree on is a love of the "Northern Thing." What is that? 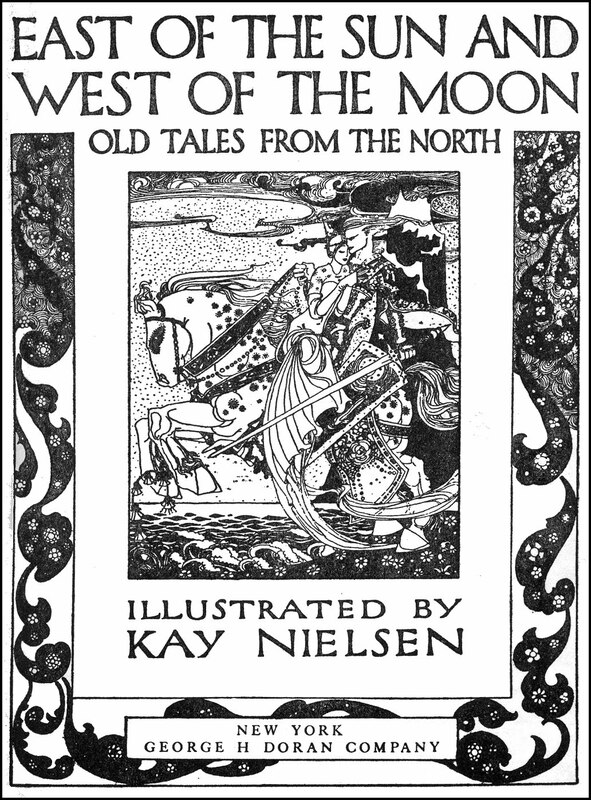 It's an old sensation that anyone reading through a copy of East of the Sun and West of the Moon or seeing the artwork of Kay Nielsen or John Bauer for the first time understands. Related to that is a love of the Arabesque, that you can find when you read One Thousand and One Nights. Does commercial chock-a-block fantasy do this anymore? Do any of these fat paperback writers make you feel that Northern breeze? The heft of the sword in your hand? The pulse of magic in the air? Would a photocopy of a photocopy of the Mona Lisa amaze you the same way as standing in front the original painting? You might glimpse some sense of Da Vinci's brilliance, but not all. Is it any different with Tolkienesque fantasy? I think not. The Ballantines created a new publishing market and that's good for writers (food and paying the electrical bills are always good), but it is bad for readers. Innovation can't dwell in the shadow of old John Ronald Reuel. So what can we do? How do we write something new about something old? I have no idea. If I did, I'd be doing it right now. And making a killing setting up the next wave of fantasy books. Will someone some day accomplish this? I think so. It may take a century or so, but one day Tolkien will fade into the background, as did Morris, Dunsany, and the rest. In our time now, with our still-current Peter Jackson films, a Game of Thrones TV show, (not to mention The Shannara Chronicles! ), video games like World of Warcraft, and all those fat paperbacks... well, we will have to wait. That long, cold shadow isn't going anywhere soon. An incredibly insightful piece of work here, Mr. Thomas. Thanks for taking the time to share it.